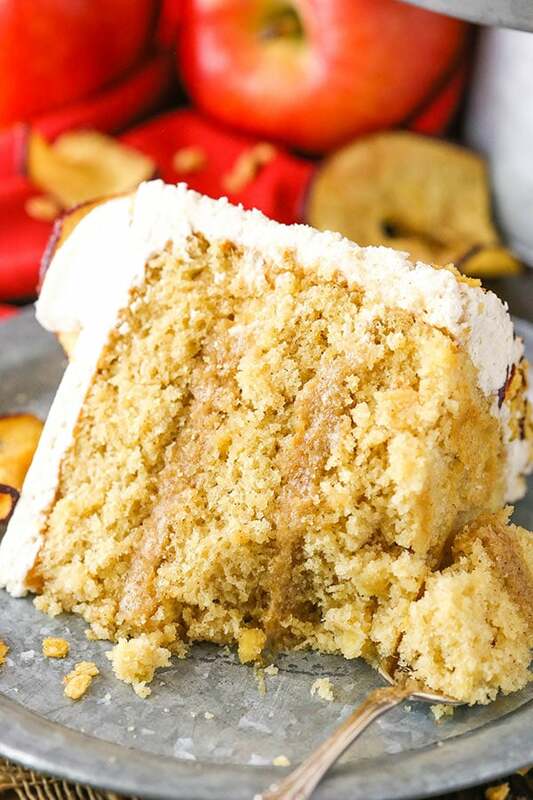 This Cinnamon Apple Layer Cake is incredibly moist, made with fresh apples and has the most amazing apple filling! 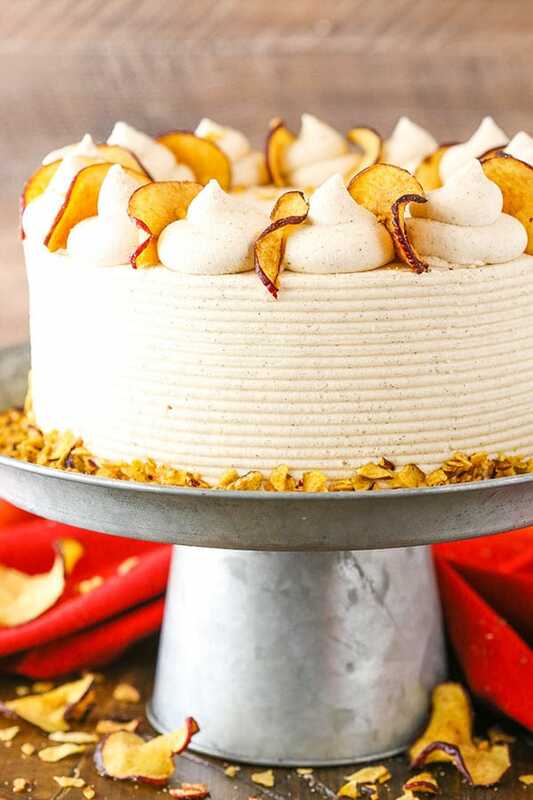 It’s the perfect fall cake! I can’t believe we are already well into October. This year has flown by! I’m trying to soak up the last of the good weather before it’s gone for the winter. One of our favorite things to do with the boys is go on walks, so I’m getting out with them as much as I can. As sad as I’ll be to see the warm weather go, I’m always excited to enjoy fall flavors! Apples and cinnamon are certainly some of my favorites for fall. I pretty much get the biggest container of cinnamon I can every year and go through as much of it as I can. Cinnamon gives me life. The combination of cinnamon and apples in this cake is amazing. The cake is so moist, it just about falls apart. It not only gets flavor from the cinnamon, but also from a mix of fresh chopped apples and applesauce. All the moisture from the apples adds wonderful flavor and so much moisture. 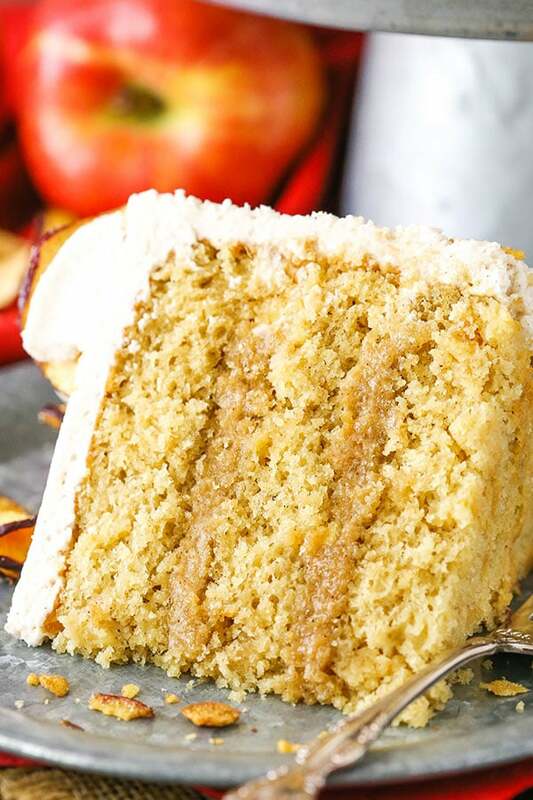 To get started with this Cinnamon Apple Layer Cake, you’ll make the cake layers. Combine the dry ingredients, including the cinnamon, and set those aside. Next up is creaming the butter and sugar together. 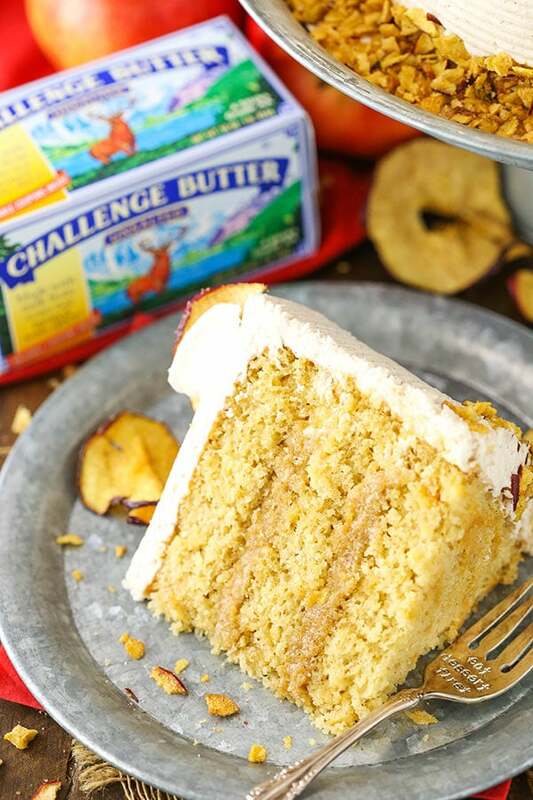 I use Challenge Butter for my baked goods and highly recommend it. Their butter is made from fresh milk at family-owned dairies and goes from farm to fridge in just two days. It has no added hormones, artificial flavors or fillers, which I’m a big fan of. It’s such a great, creamy butter that goes perfectly in this cake. And life just got even better, because Challenge Butter is now available in Kroger, which is closer and more convenient than when I’d get it at Wal-Mart. Yay! Add some brown sugar in with the butter and a little vegetable oil and cream them all together for several minutes. The brown sugar adds moisture to the cake, as well as flavor. The creaming process is an important one, as it adds air to the batter that helps the cake rise. Next up are the eggs, which add flavor, structure and rise to the cake. Then some vanilla extract, apple sauce and milk, which also adds flavor and structure. 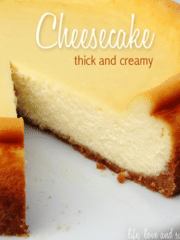 Those wet ingredients are added alternatively with the dry ingredients to ensure that everything incorporates properly without over mixing the batter. 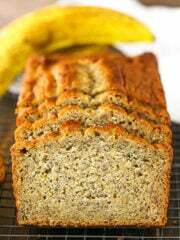 Overtaxing the batter can over develop the gluten in the flour and you’ll end up with a tough cake. The final step is to gently stir in the chopped apples, then bake the cakes. Next up is the cinnamon apple filling, which I kind of want to add to everything now. It’s SO good! The flavor is so perfectly cinnamon and apple, it’s like eating fall right out of a pan. It’s also easy to make. Toss the butter, brown sugar, cinnamon, apple sauce and cornstarch into a saucepan, heat it all together until the sugar has melted, then boil it for a few minutes. You want to be sure not to heat it on too high of a heat setting initially. The brown sugar can take it’s time in melting and you don’t want to rush it. As for the applesauce in the filling, I decided to use applesauce instead of chopped apples because I didn’t want to have the texture of the whole cake radically changed by the addition of chunky bites of apple. I wanted things a little more cohesive. It was the perfect decision. The filling adds the perfect amount of apple flavor, without totally taking over the cake. I love it! Once the filling has cooled, you’ll add a little powdered sugar to it to help thicken it up a bit. 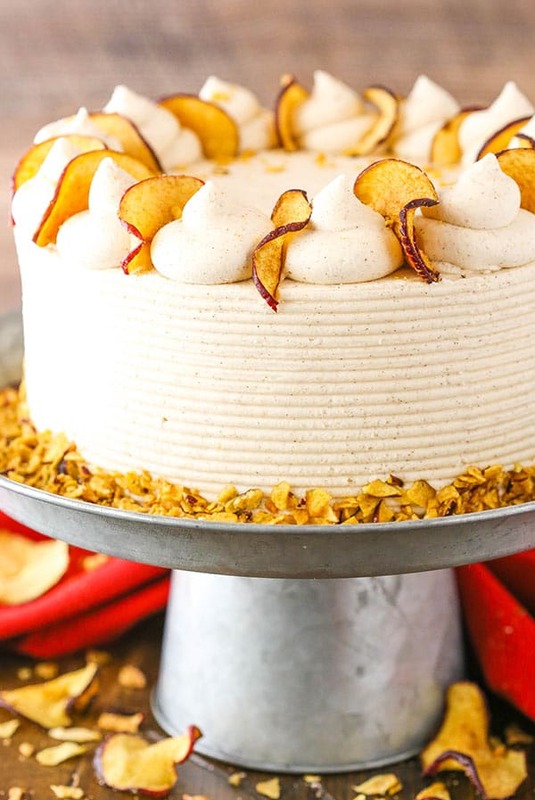 This Cinnamon Apple Layer Cake is rounded out with a cinnamon-filled American buttercream. It’s the perfect final addition to the cake. Once frosted, I used my icing smoother and decorator to add some texture to the sides of the cake, then pressed some crushed cinnamon apple chips into the bottom. Add some swirls of frosting around the top edge and finish off the cake with some additional apple chips and it’s ready to go! 1. To make the cake layers, prepare three 8 inch cake pans with parchment paper circles in the bottom and grease the sides. Preheat oven to 350°F (176°C). 2. Combine the flour, baking powder, cinnamon and salt in a medium sized bowl and set aside. 4. Add the eggs two at a time and mix until completely combined. Scrape down the sides of the bowl as needed to be sure all ingredients are well incorporated. 6. Add the vanilla extract, milk and applesauce and mix until well combined. The batter will look a little curdled, but that’s ok.
8. 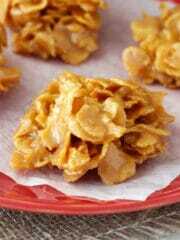 Fold the chopped apples into the batter. 9. Divide the batter evenly between the cakes pans and bake for 23-26 minutes, or until a toothpick comes out with a few crumbs. 11. While the cakes bake, make the filling. Melt the butter in a medium sized saucepan. 12. Add the brown sugar, apple sauce, cinnamon and cornstarch and whisk constantly over medium-low heat until sugar is dissolved. 13. Increase heat to medium and bring to a boil. Allow to boil for 3 minutes. 14. Remove from heat and allow to cool to room temperature. 15. Add the sifted powdered sugar and whisk until well combined and smooth. 16. When you’re ready to build the cake, make the frosting. Add the butter and shortening to a large mixer bowl and beat until smooth. 17. Add about half of the powdered sugar and mix until well combined and smooth. 18. Add the vanilla extract, cinnamon and 2 tablespoons of water or milk and mix until well combined. 19. Add the remaining powdered sugar and mix until well combined and smooth. 20. Add additional water or milk as needed to get the right consistency. 21. To put the cake together, trim the tops/domes off of each cake, if needed. Place the first layer of cake on a cake plate or cardboard cake circle. Do be gentle moving the cake layers around – they are very moist and tender. I often use a cake lifter to help with moving them. 22. Pipe a dam of frosting around the outer edge of the cake and fill it in with about half of the filling. Spread the filling and dam into an even layer. 23. Add the second layer of cake, then repeat another layer of dam and filling. 24. Add the final layer of cake on top and then add a thin crumb coat of frosting to the outside of the cake. 25. Frost the outside of the cake with the remainder of frosting. See my tutorial for frosting a smooth cake. 26. Use an icing smoother with a patterned edge to create the lines in the side of the cake. 27. Press the crushed up apple chips into the bottom of the cake. 28. Add some swirls of frosting around the top edge of the cake, then finish it off with apple chips. 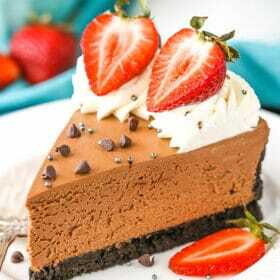 Oh this looks yummy! Could you use extra butter in place of the shortening in the cinnamon frosting? 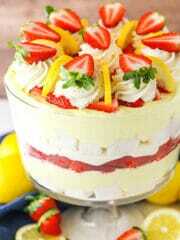 I can’t wait to make this cake. Apples and cinnamon are my two most favorite flavors together. However, when making the frosting it calls for butter and shortening. What kind of shortening do you use? Crisco? Butter flavored Crisco? Because I generally do not use shortening in my baking I want to make sure I get it right! Yes, I use vegetable crisco, not the butter flavored. And feel free to use additional butter, if you prefer. There are several reasons I like to use some shortening (which you can read about here), but either way will work great. I hope you enjoy it! Please share the type of Apple that you used in this recipe. I want to make it for my husband’s end of summer work lunch. I love your website. Thank you so much,! I believe I used Fuji apples, but others such as Gala, Honeycrisp and Red Delicious should work as well. I hope everyone enjoys it! Yeah!!! Bring on the apples! Super cake for the fall and upcoming holidays. I can’t wait to try it. 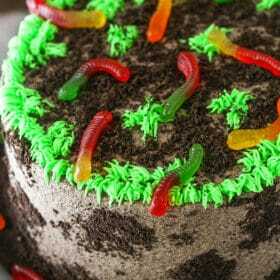 Is it possible to make this cake in a 13×9 cake pan? If so, I guess I would have to eliminate the filling. I haven’t tried it in a 9×13 pan, but I think it’d be fine. You’d want to either eliminate the filling or the frosting. Honestly, the filling is of a consistency that you could use it like a somewhat thinner consistency icing on the cake, if you wanted. I’m so in love with the filling, that might be what I’d do. Do you think this would work as a filled cupcake? Would it be moist? I haven’t tested this particular recipe as a cupcake, but it should be fine. The cupcakes would definitely be moist and you’d want to reduce the amount of frosting needed – maybe by about a third. Love the cake stand! Where did you get it? It was actually from a deal website forever ago. I’m not sure where to find one now. I’m sorry! I agree, I, too, love apples and cinnamon together. 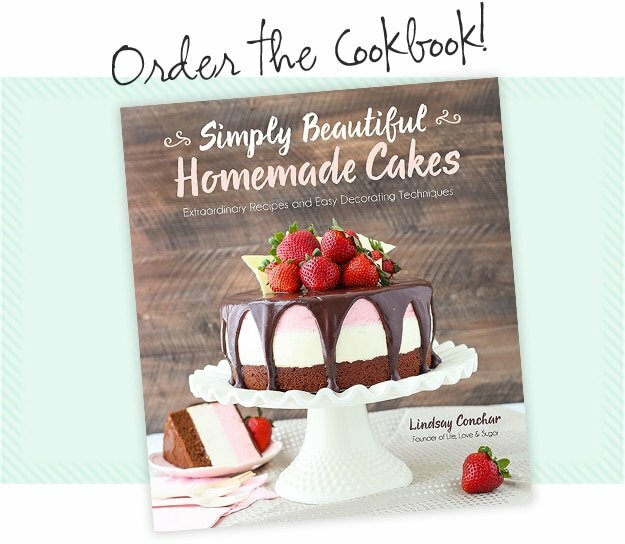 Can’t wait to try this…I love the rustic look and you have me on the “hunt” for adorable cake stands! But, I need to ask, where did you find the cinnamon apple chips? I find them by the fresh fruit in the grocery store. They’re normally on a shelf right by the fresh apples. Sometimes you can find them on the chip aisle or by the dried fruit too. Hi! How do you make your applesauce? I just use store bought unsweetened applesauce. Oh, that filling looks SO good! I’ve gotta try this recipe, but have a question. Could I shred the apples instead of chop? I don’t really like chunks of anything in a cake. What do you think? If I did shred the apples, how much do you think I should use, still 1.5 cups or less? Thank you! That should be fine. I just added a weight measurement to the apples, so I’d just use the same amount by weight. 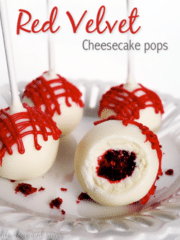 Hi Lindsay, This recipe looks amazing, as all of your recipes do! You are always super awesome at giving us bakers measurements in grams…..so I was wondering about how many grams of apples and the applesauce did you use? We all chop differently, so I don’t want to be off on the apples. I appreciate the fact that you incorporate grams into your recipes. Every ingredient given in grams is such a lifesaver when it comes to baking. Much appreciation to you for that extra step 🙂 Kind regards! I added the gram measurements for those. Thanks Agatha! I hope you enjoy the cake! 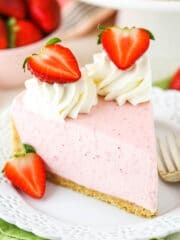 Hi, this looks amazing and I can’t wait to make it but I just had a quick question. The recipe for the frosting says to use 9-10 cups of sugar. That’s seems a bit much.., Im probably wrong but I’ve never had a recipe call for that much sugar. Before I buy my ingredients, I wanted to make sure that this is correct. Thanks! Yes, it’s correct. Feel free to check out this post on frosting consistency to learn more about why I use that much. You could reduce it a bit, if you wanted. I hope you enjoy the cake! I used tjhis recipe for cupcakes and it made 2 1/2 dozen, filling the cups 3/4 full. I shredded the apples for the cake. 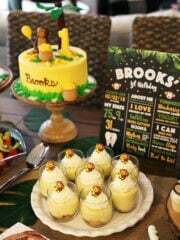 The cupcakes were tender and very moist and DELICIOUS.!!! And the apple filling is to die for– it has the taste of carmel. I used a thingy to make a hole in the cupcakes when cooled and filled with the apple filling. The frosting is OK but not great, maybe because I used the whisk attachment so it was really fluffy, but the flavor was blah. Maybe I will use more butter and less shortening and add a little lemon juice, as others have suggested. Also, for other users, I made 1/3 less frosting and still had a lot left over but I don’t frost cupcakes as much as you do as most people I serve don’t like that much frosting, I still used a generous amount though. I have your book and love it. I have one problem I live in mountains and I follow your recipe but my cakes don’t rise like yours does. What am I doing wrong? I’m so glad to hear you enjoy the book! It sounds like high altitude might be having an effect. I don’t know much about how to make adjustments, but there should be some good resources out there for high altitude baking. N does the sugar makes a difference.. Like granulated sugar takes longer time..or superfine sugar takes lesser time to cream.. Honestly, that seems to be a common reason, but it certainly isn’t the only one. There are any number of reasons it could happen – but I wouldn’t be able to say without being there and seeing what someone is doing. Sometimes people do things differently and don’t even realize it. To tell when the creaming is done – you’ll notice a chance in the consistency and color of the butter and sugar. It’ll lighten in color and thicken in consistency. When you see it change, you know it. Butter temperature also makes a difference. Here’s a great article with photos that should be helpful. Hi Lindsey! 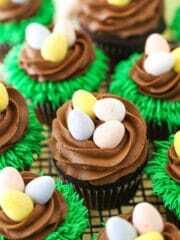 All of your recipes look fabulous and I have loved your cupcake recipes! They are all a hit! I think I am gonna attempt a cake recipe for this upcoming holiday season! Do you use 8×2 in cake pans or 8×3? Thank you!! When baking cake layers, I typically use 8×2 inch pans. If it’s going to sit out for more than about 24 hours, I’d probably store it in the fridge. It’s best served at room temperature though. our Thanksgiving desserts. Both were a big hit! Thank you for the wonderful recipes. I’m planning on making this cake for Christmas but my family hate apples lol, can I omit the apples and just make it a cinnamon cake? Do I have to change or add anything? Thanks! 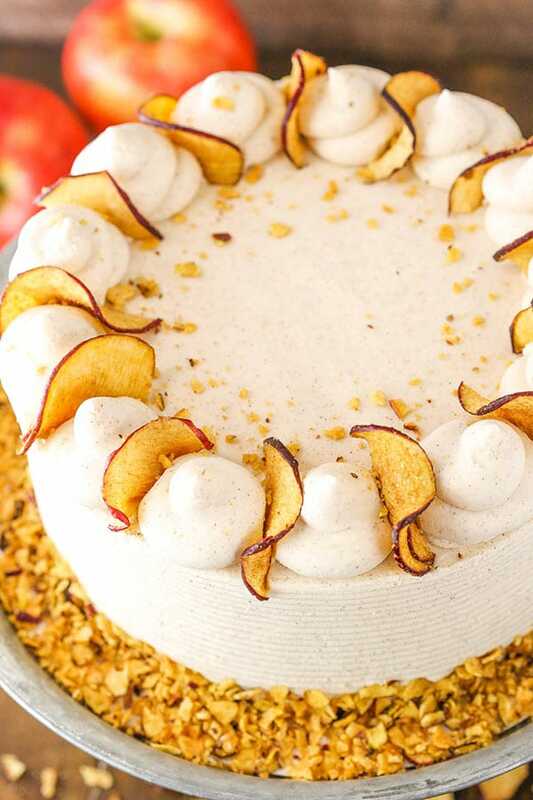 Honestly, this cake is really all about the apples – especially the filling. If you just want a cinnamon cake, I’d suggest checking this one out. Would I be able to freeze the baked cake without the frosting? Yes, that should be fine. Just make sure it is well wrapped. I hope you enjoy! I don’t normally rate recipes when I’ve made changes to them, but I’m going to make an exception in this case – because I’m certain the original is wonderful also. 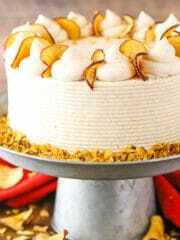 I’ve been wanting to make a pear flavored cake but couldn’t find one that appealed to me – so I modified this cake. I made some homemade “pearsauce” to replace the applesauce and used chopped pears instead of the apples. The results were fabulous. That’s awesome to hear! 🙂 So glad to hear you’ve enjoyed everything! I made this cake for my birthday as I looked for an apple/cinnamon cake and this one had good ratings. I ended up using just half the frosting, which was still more than enough. All in all I think it doesn’t taste much like apple and is way too sweet for me. 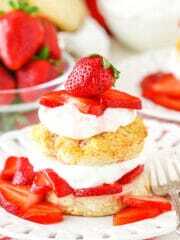 But I like the basic idea of this cake and would recommend it to everyone who really loves super sweet cakes. I’m sorry to hear it didn’t meet your taste preferences.